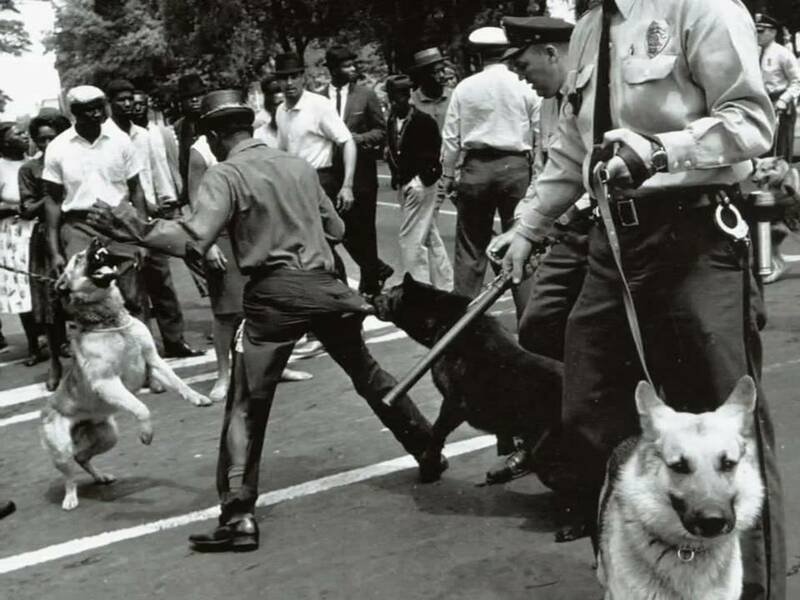 Anyone who knows elementary Civil Rights history knows about the police dogs and fire hoses that were used against demonstrators in Birmingham, Alabama. 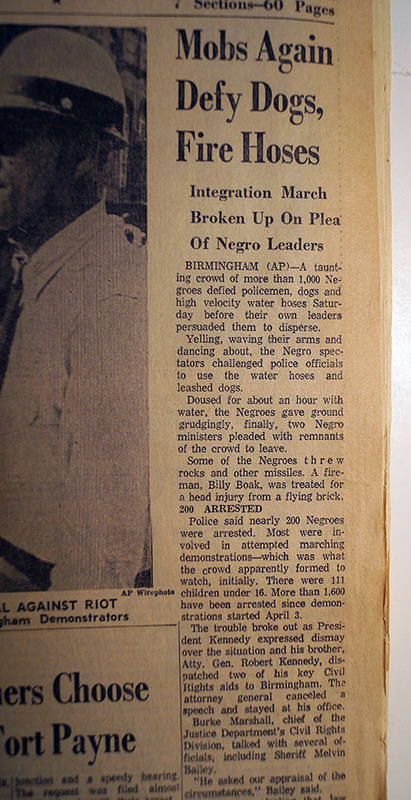 This May 5, 1963 edition of The Montgomery Advertiser shows the fascinatingly DIFFERENT perspective of the mainstream media in Alabama with documenting the event; the demonstrators are depicted as a “mob” and a “taunting crowd” who “challenged police officials to use the water hoses and leashed dogs.” Note Rev. 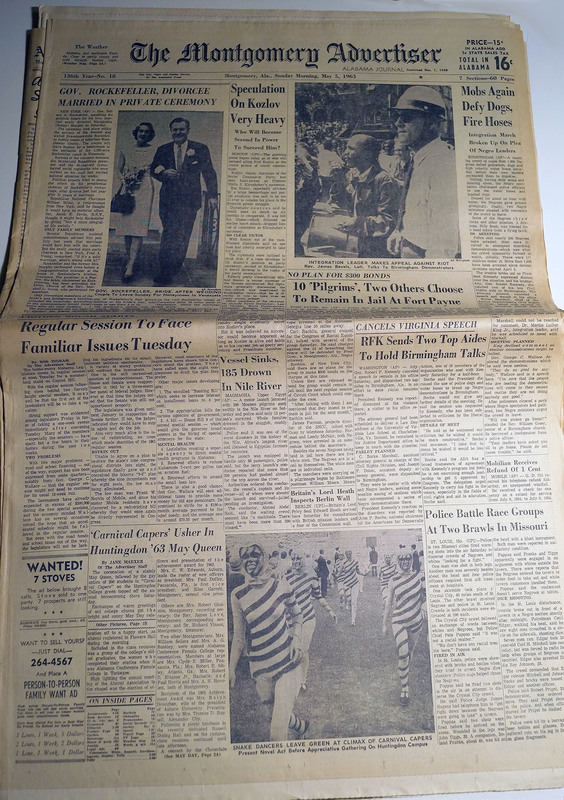 James Bevel (they misspelled his name) in front page photo. 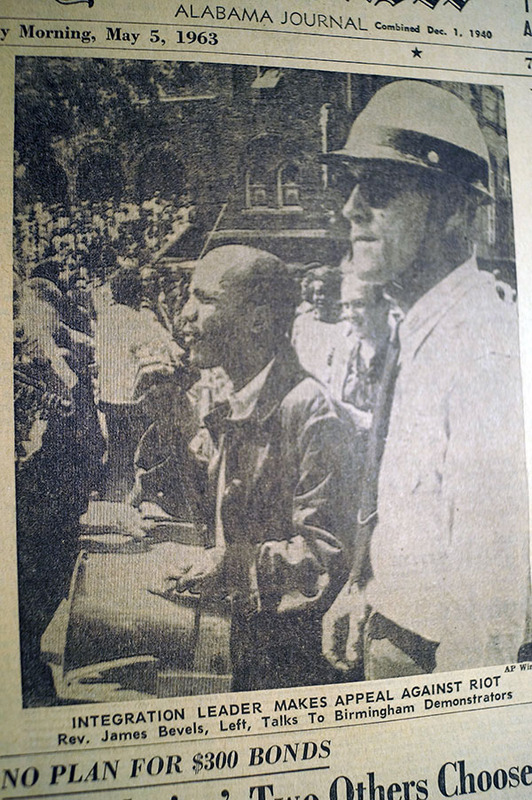 Reverends Martin Luther King, Jr., James Bevel, and Fred Shuttlesworth of the Southern Christian Leadership Conference directed the organized boycotts and protests of 1963 which centered on Kelly Ingram Park. 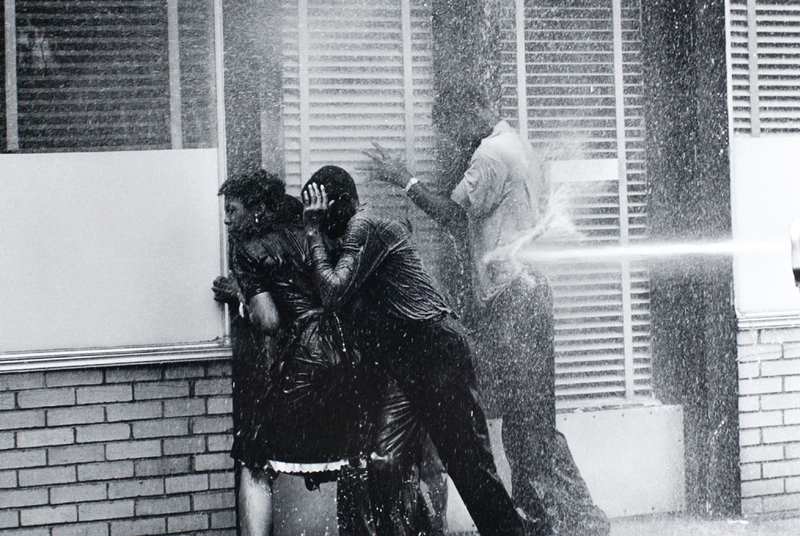 It was here, during the first week of May 1963, that Birmingham police and firemen, under orders from Public Safety Commissioner Eugene “Bull” Connor, confronted demonstrators, many of them children and high school students, first with mass arrests and then with police dogs and fire hoses. 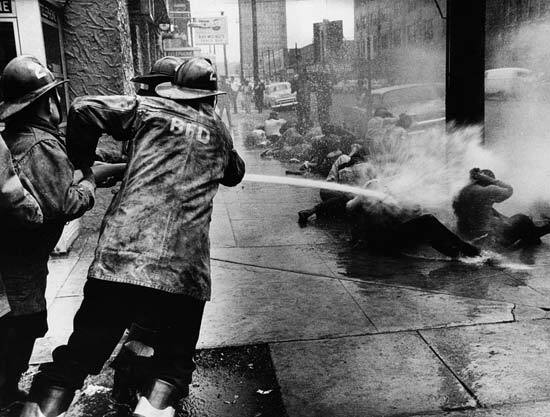 Images from those confrontations, broadcast internationally, spurred a public outcry which turned the nation’s attention to the struggle for racial equality. 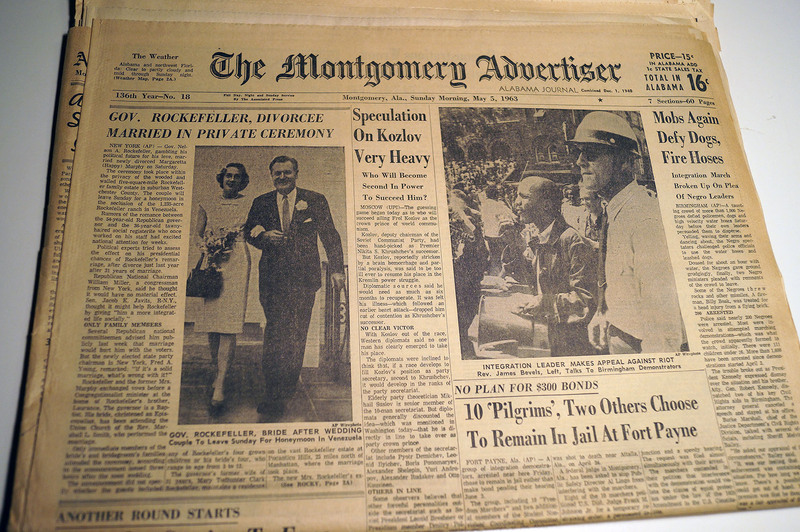 The demonstrations in Birmingham brought city leaders to agree to an end of public segregation and helped to ensure the passage of the Civil Rights Act of 1964. The park was named in 1932 for local firefighter Osmond Kelly Ingram, who was the first sailor in the United States Navy to be killed in World War I. 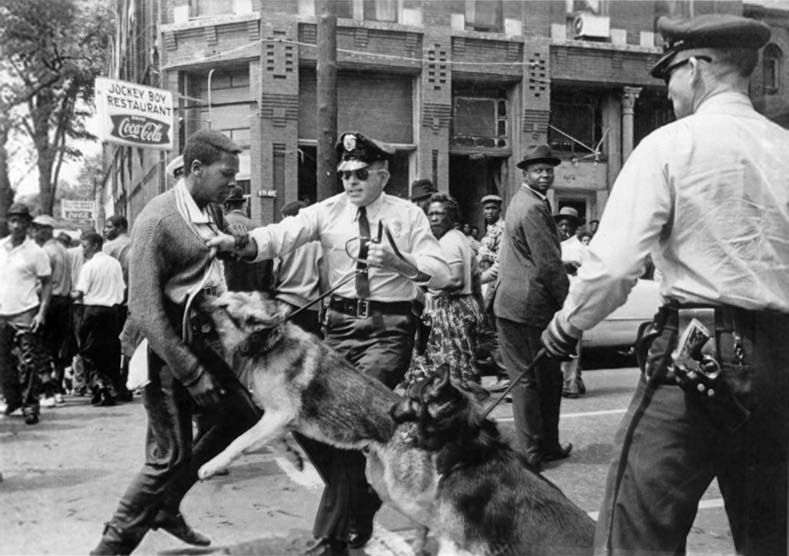 In 1992 it was completely renovated and rededicated as “A Place of Revolution and Reconciliation” to coincide with the opening of the Birmingham Civil Rights Institute, an interpretive museum and research center, which adjoins the park to the west. Photos below, are not included in the newspaper….